Jeff brings several years of valuable monitoring experience to The Freshwater Trust. He has monitored salmon populations for a variety of government agencies and nonprofit organizations, including The Yakima Nation, Washington Department of Fish and Wildlife, Ecotrust, and the Portland Water Bureau. Jeff holds a bachelor’s degree in Environmental Studies from Northeastern University and has received a River Restoration Certificate through Portland State University’s Environmental Professional Program. As the Habitat Monitoring Lead, he collects and analyzes critical pieces of data for The Freshwater Trust’s habitat restoration and flow restoration programs. Jeff ensures that the projects happening on the ground are having the intended outcomes. 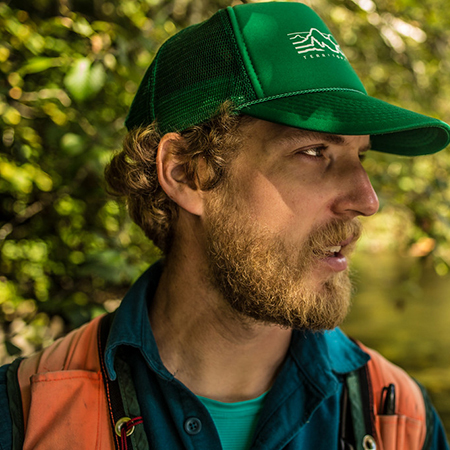 When not in the field for a work assignment, Jeff can be found fly fishing or mountain running with his girlfriend Jenn and two dogs Juneau and Jack.